Studying Chemical Engineering at the University of Nottingham Malaysia. It was 2003 when I first visited to Shanghai, exactly 10 years ago. I remember it clearly as Severe Acute Respiratory Syndrome (SARS) incident happened in the same year and it affected China greatly especially the economy. As an innocent teenager, I had always thought that China was still lagging behind in the world. I even had the perception that all the toilets in China did not have doors and carrying an umbrella along to the toilet was a must in order to cover ourselves. I was shocked the moment I stepped on Shanghai Pudong airport as everything was totally different from what I had imagined. Everything amazed me. The population of Shanghai City at that time was 17 million which was about the same as my county’s population. The toilets in the city were so decent that you could even sleep in them. The city was full of tall buildings as if it was a concrete jungle. What amazed me the most was probably The Bund, a famous waterfront and regarded as the symbol of Shanghai for hundreds of years. Before the 1840s, the Bund was just a muddy narrow lane with tall reeds. It initially became a British settlement. After Shanghai was established as a trading port in 1846, a street was paved there and the riversides were reinforced. Then, rows of commercial buildings were constructed. As the UK Concession, a building boom at the end of 19th century and beginning of 20th century led to The Bund becoming a major financial hub of East Asia. 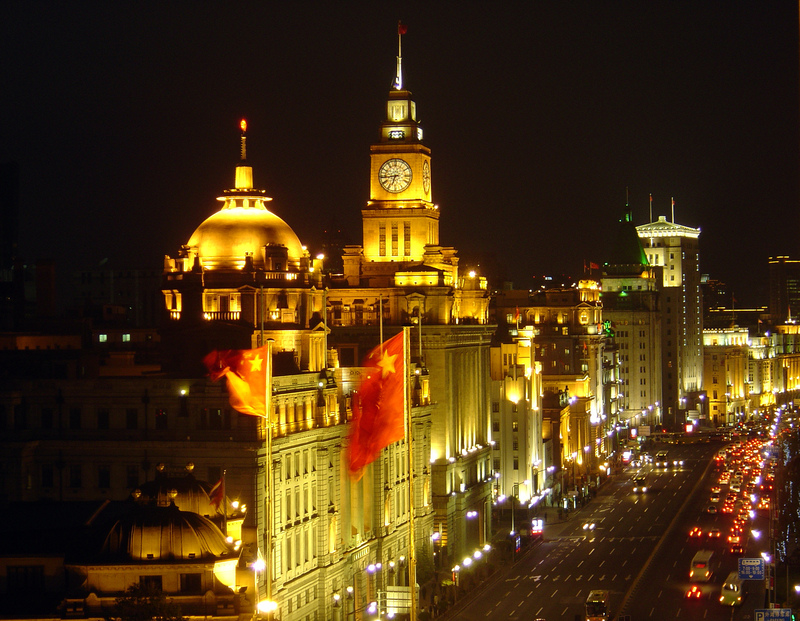 It was the centre of the city’s politics, economy and culture more than a hundred years ago, consulates of most countries and many banks, businesses and newspaper offices were settled there, and that’s what made The Bund today. Given the dramatic, jaw-dropping difference between these two images, you might be tempted to think that the top one was taken sometime in the middle of the 20th century. You’d be wrong. That image was from 1990 and it showed how excellent Shanghai’s development was. Since then, I always wonder how Shanghai would be in the future. Would its development be static or stunning? It clears my doubt when I got the chance to visit Shanghai again in 2013. The Bund, Nanjing Road, and Chenghuang Miao are more or less the same. Ahead of the World Expo in 2010, the city however was transformed again, with mind-bogglingly ambitious plans. The latest symbol of Shanghai’s urban hipness is Xintiandi, a bustling shopping and entertainment district. But these luxury boutiques, which appear to be housed in traditional lane houses, are not what they seem. Traditional music wafts along the street, heightening the film-set feel of the place. This is Shanghai’s most hyped urban development of recent years. But the decision to leave some old buildings standing is the exception rather than the rule. The more-accepted new face of Shanghai is an ever-growing labyrinth of skyscrapers. From an observation deck in Pudong, a district across the river from Shanghai’s original settlement, skyscrapers stretch out into the distance as far as the eye can see. Twenty years ago, this area was just farmland. Now, this viral growth of skyscrapers, this city on steroids, symbolizes China’s urban future. Shanghai literally means “on the sea”: It’s the city that looks outward to the rest of the world, to the future. But again what will the Shanghai of the future look like in 20 years’ time?